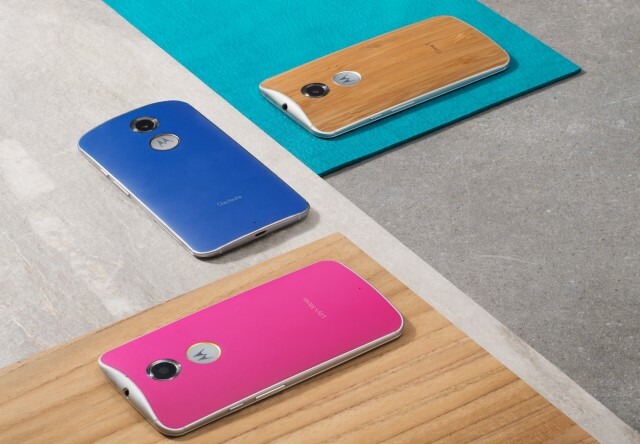 Things are going great for Motorola, the company that was chosen by Google to create the Nexus 6 flagship, whose design was inspired from the Moto X 2014 – using the same soft matte plastic back with a thin metallic frame, featuring a large dimple below the rear camera with the M logo inside, and a subtle dip at the top. Basically, the Nexus 6 was the larger variant of the Moto X 2014, but with higher end specifications. Motorola’s popularity increased over night and, according to some reports, the company decided to bring on board a successor, but its existence hasn’t been confirmed yet. However, we have some leaked information to digest and, in this article, we’ll present you with the next Moto X smartphone. Motorola has had big sales with its affordable Moto G and Moto X handsets, but the step from mid-range to high-end was needed so the company reinvented itself, went back to the drawing board and started creating products that could compete with famous brands from the market. 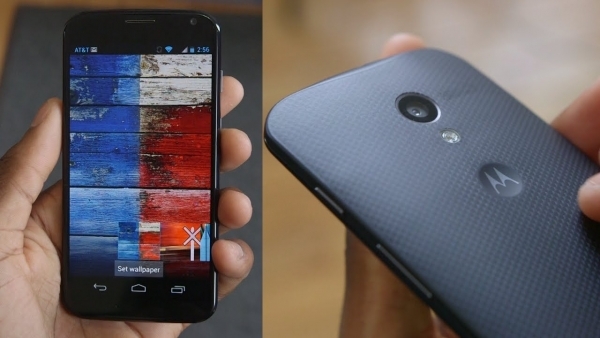 The second generation Moto X was a compelling device, which cost less than other phones with similar specs. When it was launched, the 16GB variant was priced at 655 dollars, while for the leather and wood versions, fans had to pay 30 dollars more. The back cover is removable and you can customize it by ordering another one with a different color or texture, through the Moto Maker program. The device has weak water resistance, and will surely drown if it’s dropped into water and kept there for a few minutes. This model has a thickness of 10mm and it weights 144grams, on the front side you will notice two horizontal bars which look interesting. The screen is AMOLED sized at 5.2inches, with a maximum supported resolution of 1080×1920 pixels at 424ppi. The collaboration with Google was auspicious, because Motorola is now on the list of favorite phone manufacturers that receive the latest Android updates. The Moto X 2014 now runs on Android v5.0 (Lollipop), but was released with v4.4.4 (KitKat). As for the internal parts, it uses a Qualcomm’s MSM8974AC Snapdragon 801 chipset combined with a quad-core 2.5GHz Krait 400 processor, an Adreno 330 GPU and 2GB of RAM. The only drawback is the non-expandable internal memory, which comes in two variants of 16 and 32GB. But, the good news is that AT&T and T-Mobile are also selling a 64GB variant. Regarding the cameras, the one on the back is 13MP and has dual-LED flash and HDR, while the shooter from the front side is 2MP, but it’s not extraordinary and it can be used only for making video calls, because the photos have a low quality. Some rumors are indicating that the new Moto X has already landed in India, but under the name of Motorola Calisto, which is a bit odd, and on the database site Zauba, where this model was listed, it costs 466 dollars. In the end, after months of speculations and rumors, leaked images of the Moto X 2015 started appearing on the internet and the last one was provided by @upleaks. In the image, the device appears with a metal panel on the back, but the image is too small and we can’t draw any other conclusions, but the phone looks pretty much the same as in the previous leaks. There is another leaked image that was published on June 4, by PhoneArena, showing a rear panel of the alleged Moto X 2015, which seems to be made of wood. The image was previously posted by TotalTech, which claimed that some credible source handed over pictures of the device and even posted a YouTube video which was changed from the original posting. It is also rumored that Motorola is working on other materials as well, and we’re curious if the fans will benefit from the same customization options available with there other phones. Regarding its specs, 9to5Mac cited Total Tech and said that the new Moto X will feature a 5.64-inch QHD Display with 1440 x 2560 pixels resolution, but a bigger variant will be sold in the US via Verizon, featuring a 5.7inch display with the same resolution. The processor will be Snapdragon 808 from Qualcomm, which is used by the LG G4, only it will support 4GB of RAM and will have a bigger battery of 3,280 mAh and two variants of internal storage with capacities of 32 and 64GB, but it’s not known yet if they will support expansion or not. Other rumored specs: USB Type-C that plugs in either way round; Android 5.1.1 Lollipop OS; a 16MP back camera which will use “Clear Pixel Technology” and which might support 4K video and OIS, plus a 5MP camera on the front. We remind you that Motorola hasn’t confirmed any of these specs and until the release of the Moto X 2015, which may happen this fall, the final result could look completely different and might come with different internal components.